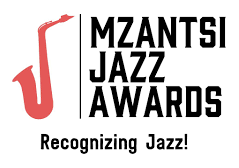 Sadly I have had to unpin yesterdays A Quick ‘n Short Note to Note from all social and other media, though we are really very happy and honoured about being nominated in The Best Radio Station Playing Jazz Category ofthe 2nd Mzantzi Jazz Awards 2018 (https://www.facebook.com/ZaJAzzAwards).We have had a number of All Jazz Radio Fans, Listeners, Friends and Followers, notifiying us that they are experiencing problems with their SMS voting system. The unique code BR2 and number 40439 for voting for AJR is not working, an error message is returned to the sender, and returns an error stating that the message is not formatted correctly. There are other problems with their website as well which I have also notified the powers that be about and am awaiting their reply. As soon as they have sorted the problem out I will once again post all the details, watch this space. Sjoe! We got a big surprise email this morning, which kind of made our hearts really sing. What is all this happiness about one says well, All Jazz Radio has been nominated for an award. We’ve been nominated in the Best Radio Station Playing Jazz Category of the 2nd Mzantsi Jazz Awards! Now we really need your help to continue further. Here’s what we need you to do is to vote for All Jazz Radioby sending an SMS. The Best Radio Station Playing Jazz Categoryis open to public vote using a unique SMS code and number. Vote for All Jazz Radio by sending an SMS using the unique code BR2 to the number 40439. The awards take place on the 11th August 2018 at The World of Yamaha, in Sandton, Marlboro. So please vote for us, most importantly share this with all Facebook Friends, Twitter Followers and Groups and Jazz Lovers around the global village. We thank you in anticipation of your vote. All Jazz Radiostreams in the C. A. T. (Central African Time Zone). Please note that Central European Time is one hour behind Central African Time and GMT is 2 hours behind. Note too that all programs are repeated, eg. Today’s programs are repeated tomorrow evening from 18:00 and the previous days programs are repeated at 2am the following morning.